Time for an Album Update. We have passed the drums and bass. 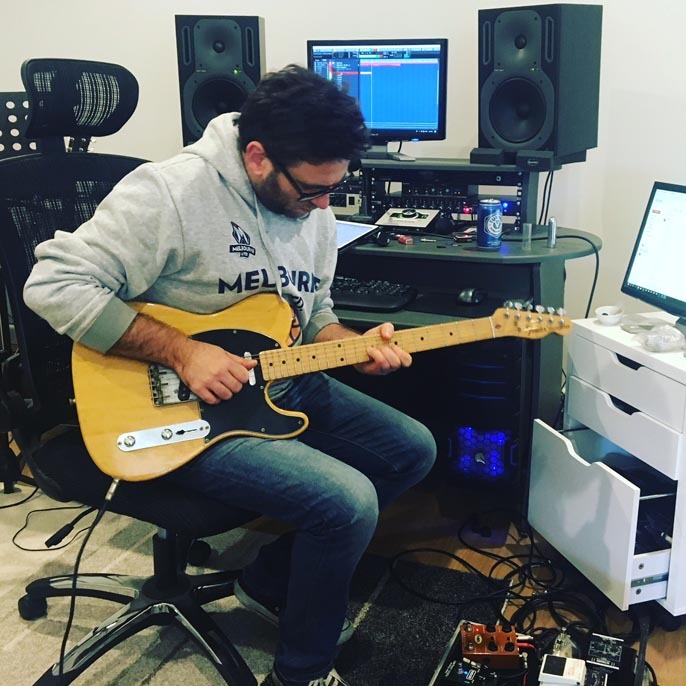 And now we have arrived at probably the best part – ELECTRIC GUITAR TRACKING! And what better way to do it than with the amazing Damian Cafarella…..at his studio in the next street….BONUS. Damian is one of the very best in the business when it comes to….everything. For those who have been playing along at home he was the guy who also hit the drums for the album. He’s all over it like a rash…but a good kinda rash!! Really excited to be getting the album knocked into shape and hear the songs come alive with the sparkle of the electric guitars over the top.